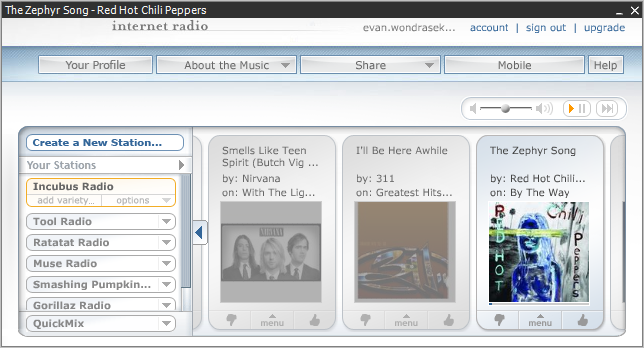 Pandora Radio, the online radio station that creates personalized stations based on your musical tastes, can be used outside of pandora.com with the open-source application OpenPandora. OpenPandora is a quick download (700 kb) and gives you all of the standard functionality of Pandora Radio with several additional features. 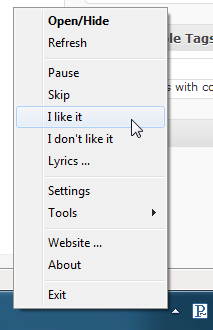 OpenPandora can be minimized to the system tray and still gives you full control of Pandora including like/dislike, pause, and skip. OpenPandora also supports multimedia keyboards and has global keyboard shortcuts (which lets you control the application with your keyboard), and can be activated by right clicking the OpenPandora tray icon, selecting Settings, clicking the Control tab and checking ‘Global Shortcuts’. For a full list of keyboard shortcuts, click here. If you use Last.FM, the popular online music catalog, you can use OpenPandora’s built-in audioscrobbler update your personal Last.FM list. 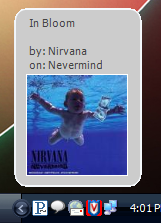 To enable this feature, right click the OpenPandora tray icon, click settings, and click the Last.FM tab. 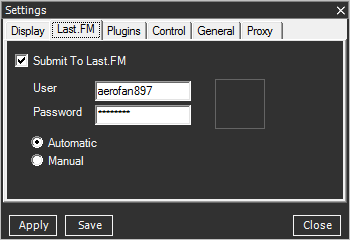 Check the ‘Submit To Last.FM’ box and enter your user information. You can also use OpenPandora to update your Windows Live Messenger, Skype, or Xfire instant messaging statuses by clicking the ‘Plugins’ tab in OpenPandora’s settings and selecting the software you use. If you keep OpenPandora minimized or in the background, you can set it to automatically pop up notifications when a new song is played. To activate this feature, click the ‘General’ tab in OpenPandora’s settings and select “Popup notification Window”. Clicking the notification window will bring you to Pandora.com’s information page for that particular song.